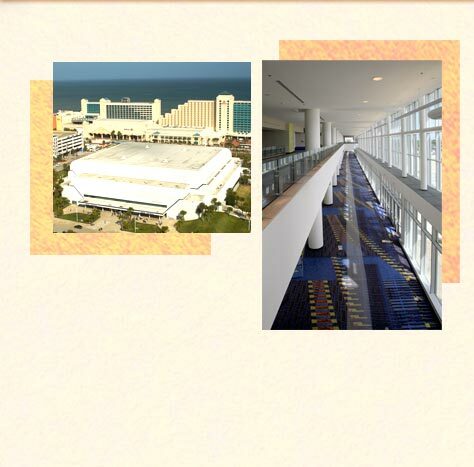 The Ocean Center houses 205,000 square feet of exceptional meeting and interior exhibit space, plus thousands of square feet of outside exhibit space to accommodate any convention or meeting needs. The Ocean Center recently completed a $76 million expansion, doubling it’s size. The new Ocean Center features an arena floor of 42,000 square feet, more than 10,000 square feet of level 2 meeting rooms, a 95,000 square foot exhibit hall, an 11,700 square foot ballroom, and 15,000 square feet of level 1 meeting room space. The Ocean Center parking garage can accommodate nearly 1,400 vehicles. The surface lot at the Ocean Center, on Auditorium Boulevard, has 330 spaces,.